Gavin N.C. Kenny's undergraduate interest in anaesthesia and foresight led him to explore the potential to apply computer technology to anaesthetic practice. His MD thesis was entitled "The Application of Microcomputers to Anaesthesia and Intensive Care" and he subsequently explored practical applications of computer technology. One of his most significant achievements was the development, with Dr Martin White, of a computerised system for delivery and monitoring of intravenous anaesthesia during surgery. The system allowed direct control of a specific drug's concentration within the patient rather than the then current controls which only offered control of the flow rate. In collaboration with a drug company and pump manufacturers, the commercial Diprifusor® target-controlled infusion (TCI) was first launched in 1996 and subsequently approved for use in 25 countries throughout the world. Researchers from the University of Glasgow’s School of Medicine, in collaboration with AstraZenica Pharmaceuticals, developed the first commercially available Target Controlled Infusion (TCI) system for propofol. The ‘Diprifusor’ target-controlled infusion (TCI) system was introduced to the UK in 1996. The system developed at Glasgow has had great impact on patient healthcare. Proven advantages of TCI include faster recovery from anaesthesia, reduced incidence of post-operative nausea and vomiting, and absence of a trigger for malignant hyperthermia. The system has also benefited anaesthetists providing them with a more convenient method of infusion which saves time on calculating infusion rates. The launch of ''Diprifusor'' as the first commercially available TCI system for propofol was the result of successful research developed by Professor Gavin Kenny, who has since retired from his role of Head of the Department of Anaesthesia. The computer-assisted drug delivery system was developed to enhance the convenience and control of Diprivan (propofol, marketed as Diprivan by AstraZeneca) for the intravenous induction and maintenance of general anaesthesia. Since its introduction, more than 10,000 Diprifusors have since been introduced to over 25 countries throughout the world, AstraZeneca received a Queen’s Award for technological innovation and at least 13 million propofol anaesthetics have been delivered by TCI worldwide. 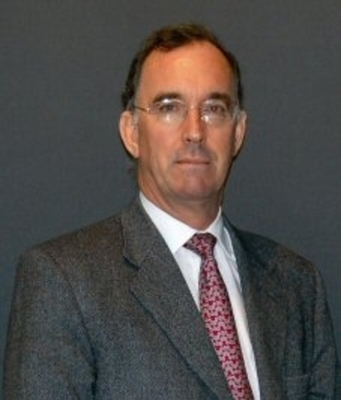 Gavin Nicolson Cleghorn Kenny (1948-)was Professor of Anaesthesia from 1996-2007. Prior to this he was Lecturer in Anaesthesia from 1977 and became Senior Lecturer and Honorary Consultant in 1984. Kenny was educated at Hutchesons' Boys' Grammar School before matriculating at the University in 1965 to study medicine. He received an intercalated BSc (honours) degree in physiology in 1970 and a MBChB in 1972. Following junior House Officer posts in Stirling, from 1973-1976 he was Senior House Officer then the Registrar of Anaesthesia at Glasgow Royal Infirmary. He completed his MD in 1982 on 'The application of microcomputers to Anaethesia and Intensive Care'. In the ensuing years he explored pracical applications of computer technology to anaesthetic practice. Kenny was appointed as Head of Anaesthesia at Health Care International, Clydebank, in 1993 but returned to the Medical School in 1996 to take up the chair of Anaesthesia in the Glasgow Department, retiring in 2007. Among his many achievements Kenny developed a pump for the delivery of anaesthesia during surgery called the Diprifuser target-controlled infusion (TCI) which was launched in 1996. He was a founding member and committee member of the UK Society of Intravenous Anaesthesia and President from 2002-2006. World Changing Project, "Developing a pump for delivery of anaesthesia during surgery – the Diprifusor® target-controlled infusion (TCI) ," in University of Glasgow World Changing (University of Glasgow, 2010); http://www.worldchanging.glasgow.ac.uk/article/?id=88 (accessed April 26, 2019). World Changing Project. "Developing a pump for delivery of anaesthesia during surgery – the Diprifusor® target-controlled infusion (TCI) ." In University of Glasgow World Changing. University of Glasgow, 2010. http://www.worldchanging.glasgow.ac.uk/article/?id=88 (accessed April 26, 2019). World Changing Project. "Developing a pump for delivery of anaesthesia during surgery – the Diprifusor® target-controlled infusion (TCI) ." University of Glasgow World Changing. University of Glasgow, 2010. 26 April 2019 <http://www.worldchanging.glasgow.ac.uk/article/?id=88>.